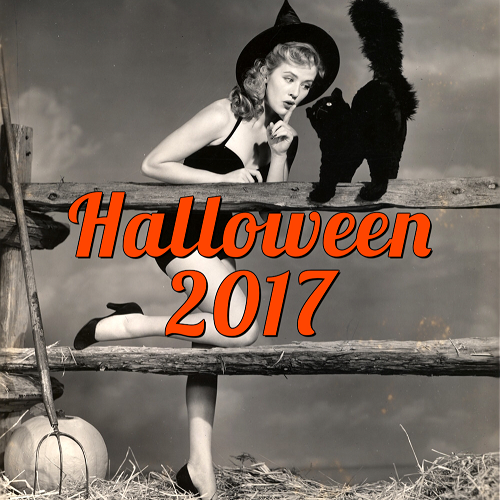 Black as the bats fly in dark of night, this LIMITED HALLOWEEN EDITION Fatally Yours Gourmet Chocolate box will send chills up your spine. It’s absolutely to die for. Packaged appropriately in a custom black Ouija board heart with orange-embossed "Fatally Yours." Each chocolate is delicately handmade and finished in gold leaf before being placed in a custom made insert tray for extra protection before conjuring. 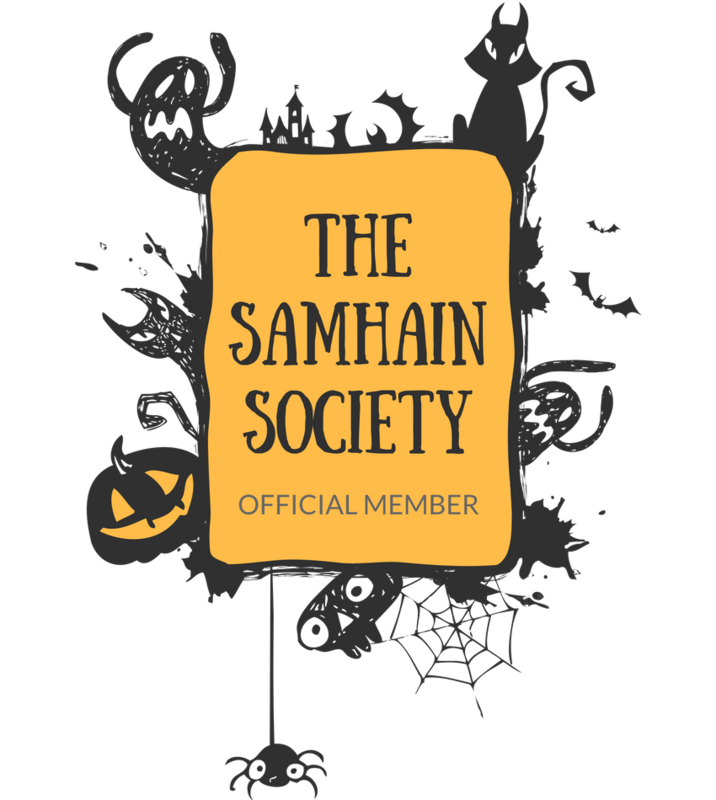 In total, you will receive 19 pieces of premium, handmade and abysmally dark chocolates. 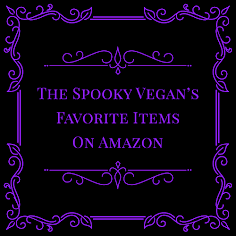 Each box comes with a custom Vegan Treats chocolate planchette. You will also receive a Fatally Yours booklet, sticker and pin. Again, I'm just sharing this news with you and you need to go to Vegan Treats to actually order. 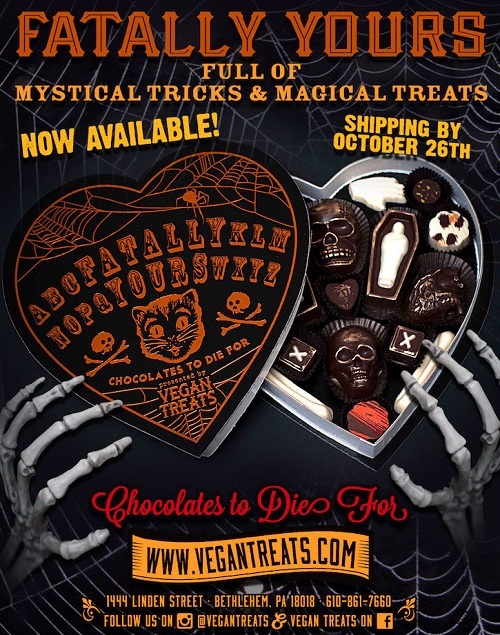 I am no way affiliated with Vegan Treats (though I wouldn't turn them down if they wanted to send me a Fatally Yours box) - I just really swoon over their chocolate boxes! 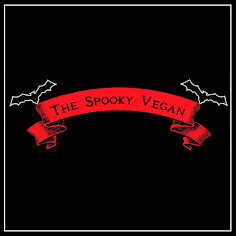 So if you have any questions or comments, direct them to Vegan Treats.